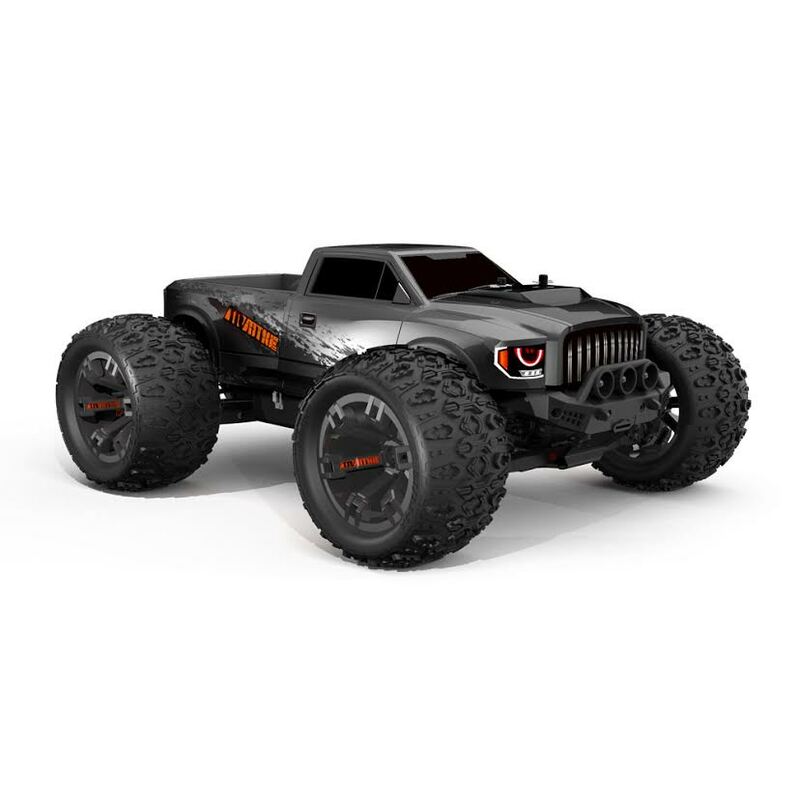 The TR-MT10E is the first vehicle 1/10 Monster Truck being offered under the Team Redcat brand. The TR-MT10E is ready to run right out of the box, just add your own LIPO batteries (DEANS Plug). Team Redcat designed the TR-MT10E to be super strong and durable. Included with the vehicle are reinforced differentials, hardened steel driveshafts, steel spur gear, oversized front bumper, high quality ball bearings, super strong and long travel suspension, adjustable turnbuckles, durable polycarbonate body and included LED lights built into the front bumper. The electronics have also been well thought out, including a waterproof Savox servo, Hobbywing 80a MAX10 waterproof ESC and high torque 550 4400KV brushless motor.